You know that your business needs a bus, and with good reason. Buses can be used for the transportation of your employees, your customers, and even the residents of a care facility. It doesn’t matter what kind of business you’re running, a used bus for sale or even a shuttle bus for sale can make all the difference in the world. The question you need to ask yourself, however, is how large of a bus you need, and how it can help your business. There are a few considerations that you will need to make when it comes to choosing a bus and we’re going to list a few of them. Transit – There are many different types of transit companies out there, some that carry more passengers than others. Most commonly you will see transit used for cities, but there are also larger corporations that use shuttle buses to transport their employees from city bus stops to their place of employment. Choosing a bus size for your business is going to require you looking at the scope of your operation and going with a shuttle bus size that matches. Zoos – This often falls under the same umbrella as amusement parks, and it tends to include taking visitors both to and from the parking lot. At attractions like zoos, you might use shuttle buses to take your visitors to various stations and exhibits. Take into account the number of exhibits you have as well as the average number of people that visit your facility on a regular basis to determine what size of bus you will actually be needing. Hospitals – Patients are going to need transportation and not all of them are going to be able to move around well on their own. 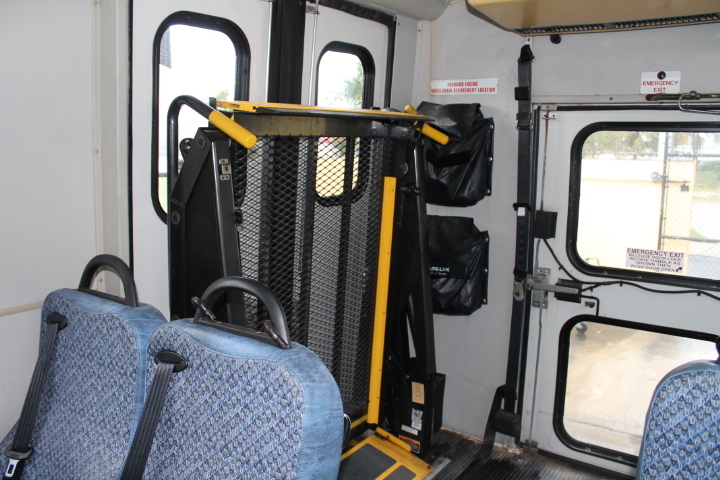 A good shuttle bus for this type of operation will be ADA compliant and able to carry several passengers, perhaps even up to thirty. 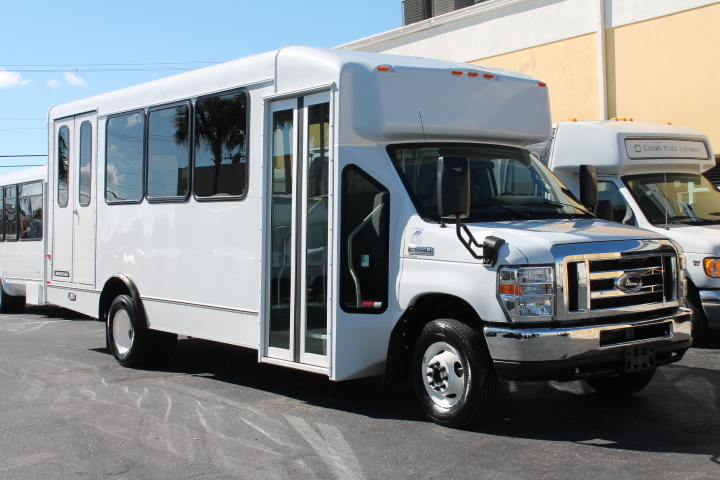 Schools – Educational institutions typically use full size buses but shuttle buses are outstanding when it comes to transporting students for smaller events, or even those events that do not require transportation of a large number. As always they should be ADA compliant. When you’re adding a bus to your fleet, the size of the bus for sale that you choose is going to be the most important consideration. On one hand, if you have a bus that is too large you will have a lot of empty seats and you will likely waste a lot of money on gas. If on the other hand you underestimate the number of passengers, you will have then you could end up with more passengers than room to support them. You need to run some numbers and make sure that you’re meeting the immediate and future needs of your company. Remember, your business can grow, or it can shrink, and you need to be prepared for that. Sometimes, it all depends on the level of market interest. You can be prepared but if there is no interest in the services that you have to offer, buying a bus could be useless. Keep track of the demand for bus work and make sure that you’re able to meet that specific demand. In addition to that make sure that you are ready to meet the demands of the future. As we said, it is impossible to tell how much your business is going to grow in the future and the same goes for the demand. When you’re looking for a shuttle bus for sale you need to start out small. You might have big plans but as with anything else you need start out slowly to ensure that you’re meeting what’s needed right now. As we said before you don’t want a huge bus with tons of open seats. There are plenty of great options from a Diamond bus for sale all the way to the Turtletop brand. Take a look and get ready to roll.